Mr. REID. Madam President, I ask unanimous consent that the bill be read three times and passed, and the motion to reconsider be laid upon the table, with no intervening action or debate. The PRESIDING OFFICER. Without objection, it is so ordered. The bill was read three times and passed without dissent. The House version of the bill had passed just days before similarly without controversy. 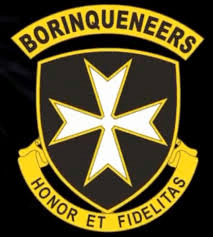 The Borinqueneers, began as a volunteer regiment in 1899, when Puerto Rico first became a territory of the United States. In 1917, as the United States prepared to enter World War I, the people of Puerto Rico were granted citizenship and, soon thereafter, President Wilson signed a compulsory military service act for Puerto Rican military service. Almost 20,000 Puerto Ricans were eventually drafted to fight in WWI, but they still lacked the right to vote in presidential elections . The 65th regiment left active service in 1956, as the U.S. military implemented desegregation. In 1959, the regiment was transferred to the Puerto Rican National Guard. During the Vietnam War, when 18 year olds were drafted into the Army, the American people recognized that it was wrong for soldiers to be unable to vote for their commander in chief. This public sentiment resulted in the twenty-sixth amendment, which lowered the voting age from 21 to 18 years old. Puerto Ricans, in spite of a long history of valiant military service for the United States, still do not have that right; as long as they are residents of Puerto Rico, they cannot vote in presidential elections. In 2013, as the last surviving members of the Borinqueneers reached their 80s and 90s, Rep. Pedro Pierluisi (D) of Puerto Rico, Rep. Bill Posey (R) of Florida and Senator Richard Blumenthal of Connecticut (D) sponsored a bill to award the Congressional Gold Medal on the Borinqueneers. Between 1950 and 1953, the 65th Infantry Regiment participated in some of the fiercest battles of the Korean War, and its toughness, courage and loyalty earned the admiration of those who had previously harbored reservations about Puerto Rican soldiers based on stereotypes. In the face of unique challenges, the men of the 65th Infantry Regiment served our nation with great skill and tremendous grace. Their contributions to our country have been recognized in many forms. Streets and parks bear their name. Monuments and plaques memorialize their accomplishments. And cities and states have approved resolutions in their honor. I believe it is time that Congress pay tribute to the 65th. The unit has received a number of awards: the Presidential Unit Citation, a Meritorious Unit Commendation and two Republic of Korea Unit Citations, including personal praise from General MacArthur. Soldiers in the unit have received individual honors: Distinguished Service Crosses, Silver Stars, and Bronze Stars. The bill to award a Congressional Gold Medal to the regiment awaits signature from President Obama. Click here for more information on Puerto Rico’s proud tradition of military service.